That was a mouthful. But anyway, Glamour Doll Eyes recently released several pressed eye shadows into their permanent line. These can either be purchased individually in clamshells for $5 or you can make your own quad for $25. 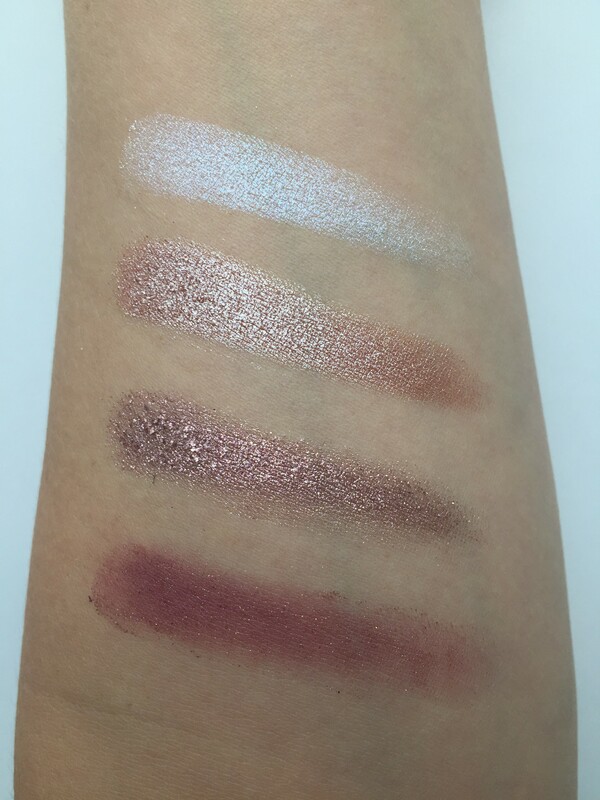 One swatch wonders, people. 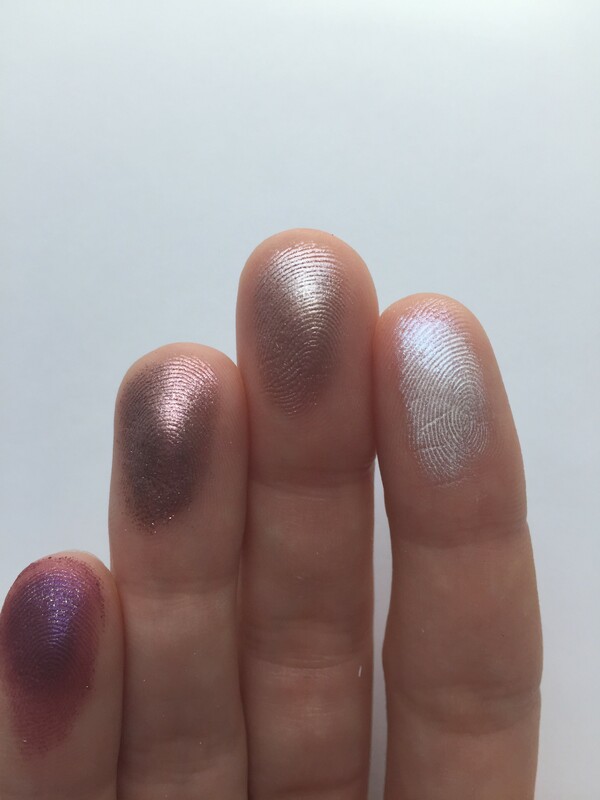 Top to Bottom: Vanilla Unicorn, Manequin, Heedless Heart, and Rose City. Look at that business. That is one swipe, over nothing. I really don’t have any negatives to say about these. 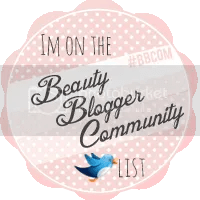 I would definitely recommend a primer as these are super buttery, i.e. can be slippery. You can use a regular primer, but I personally love using them over GDE’s Glitter Fix just for that extra pop of color. I would also mention that while the quad can definitely travel, be careful. These little guys do break easily. (And by break easily, I guess I mean don’t drop them on cement, as I did.) The good news is that you can easily fix them if you were to drop them on cement. Which I don’t recommend. Anyway, at $5 each they run about the same price as the L’Oreal Infallible eye shadows, but they are much more awesome. And cruelty-free. And indie, so you’re supporting a small business owner. Need I go on? I have a feeling I’ll be making another quad soon with the new colors that just got released! 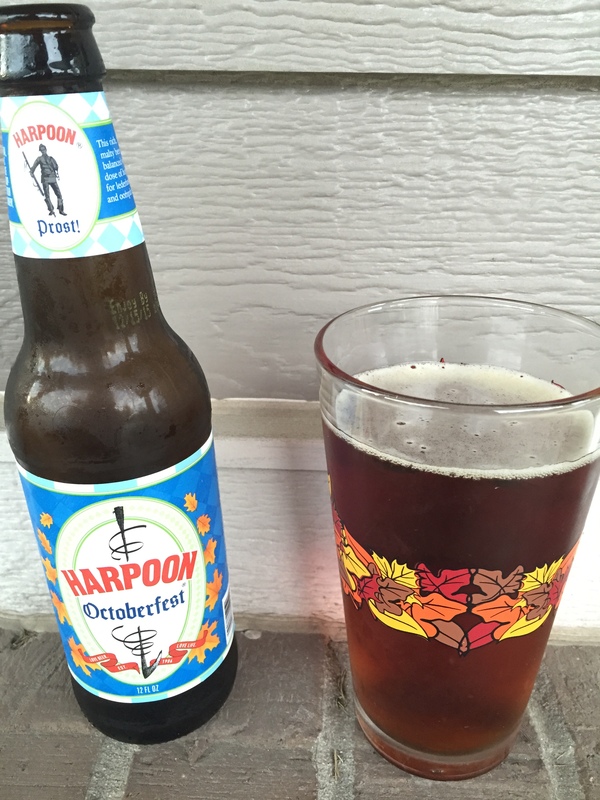 Okay, disclaimer: This is definitely not my favorite Octoberfest beer. But since my faves are all pretty local to my home state, (it has a big German population), I wanted to include a fairly national chain for people not located in my gigantic state, so hello, Harpoon! And if you don’t know what an Oktoberfest beer is, here’s my definition: A malty, rich beer that is red and you drink it in Fall with a pretzel. If you’d like more information, here’s Beer Advocate’s description:Before refrigeration, it was nearly impossible to brew beer in the summer due to the hot weather and bacterial infections. Brewing ended with the coming of spring, and began again in the fall. Most were brewed in March (Märzen). These brews were kept in cold storage over the spring and summer months, or brewed at a higher gravity, so theyd keep. Märzenbier is full-bodied, rich, toasty, typically dark copper in color with a medium to high alcohol content. 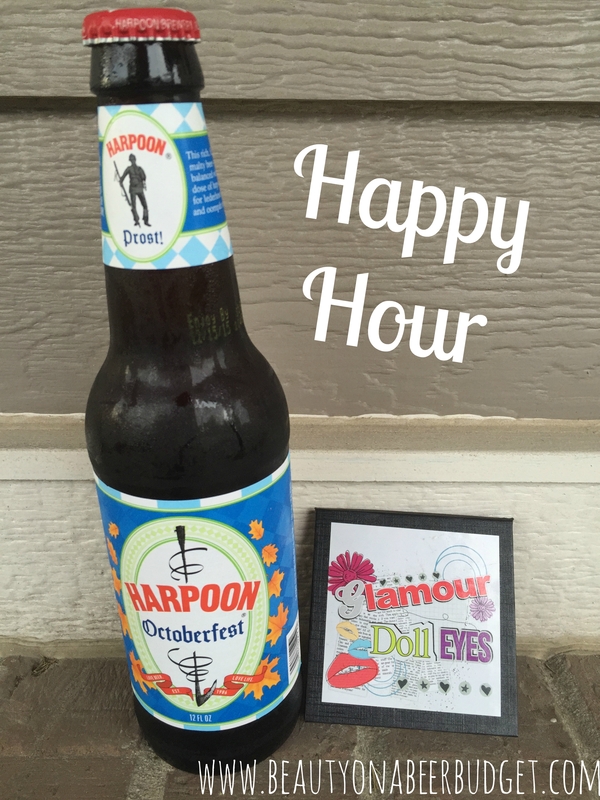 Actual Harpoon Review: Dang, I am bold happy today. That’s it for today, friends! 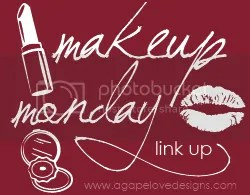 Hope you’re having a great Monday! -Are you well versed in the ways of Oktoberfest? 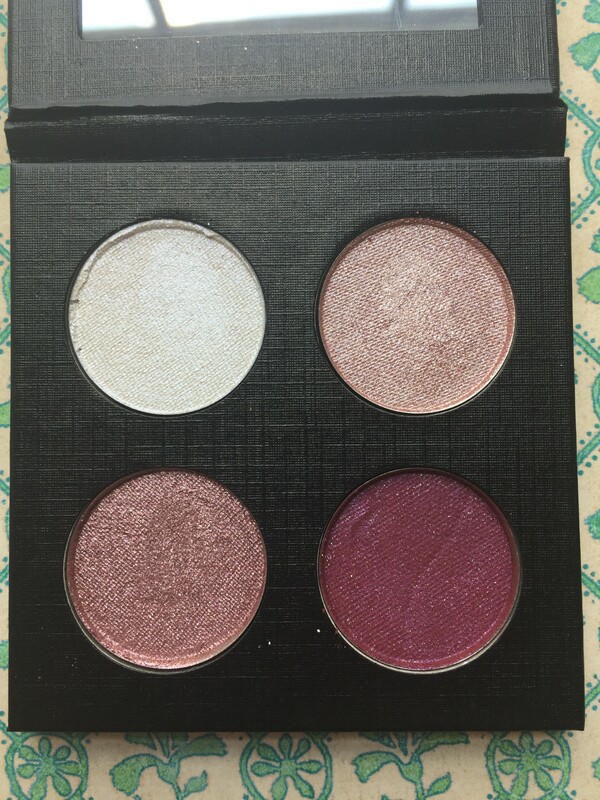 -Have you tried any of GDE’s pressed eye shadows? -What is your dream quad?